Little to no awareness of their condition. Late diagnosis, while health deteriorates. Physicians unfamiliar with Alpha-1 care standards. Limited or no access to augmentation therapy; the only specific therapy for Alpha-1. As a result, quality of life suffers greatly. The challenges of obtaining the appropriate medical care vary by country. Many countries have already faced these hurdles and made progress in the areas of awareness, detection, health management, access to therapy and reimbursement. While countries have different governance structures and healthcare systems that demand a unique approach to advocacy, much can be learned from the experience of Alpha-1 communities that have faced these same challenges and won some hard fought battles. During the 4th International Alpha-1 Patient Congress in Barcelona, Spain in April 2013, Alpha-1 leadership from 20 countries came together to share their experiences. Discussions regarding needs, desires, successes and failures produced a united resolve to stay connected as a collaborative global patient community. The Alpha-1 Foundation offered its leadership and resources to assist in building a communications platform for the global Alpha-1 community with the goal to connect Alpha-1 organisations and individuals to share ideas, strategies and tools on three main topics: awareness, detection, and access to care. The start-up program was originally referred to as the “Alpha-1 Global Initiative,” but its name was permanently changed to “Alpha-1 Global” on 1 June, 2014. To view information regarding our 2017-2020 Strategic Plan, click on the image below. 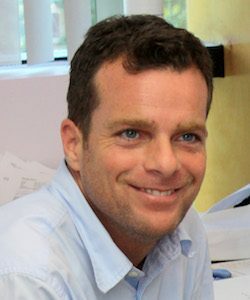 SENIOR DIRECTOR OF RESEARCH PROGRAMS – RANDEL PLANT: Randel Plant is the Senior Director of Research Programs of the Alpha-1 Foundation and he is managing the Alpha-1 Global program. He began working for the Alpha-1 Foundation in 2003 as the director of its grants and detection programs. Randel is a Canadian and US citizen, and holds a BA in Economics. Randel has an extensive background in project management, research, and contracts. He is fluent in French and Spanish, has a strong interest in strategic networking and coalition-building, and enjoys bringing together people with diverse strengths and cultural backgrounds in a dynamic, pragmatic environment. 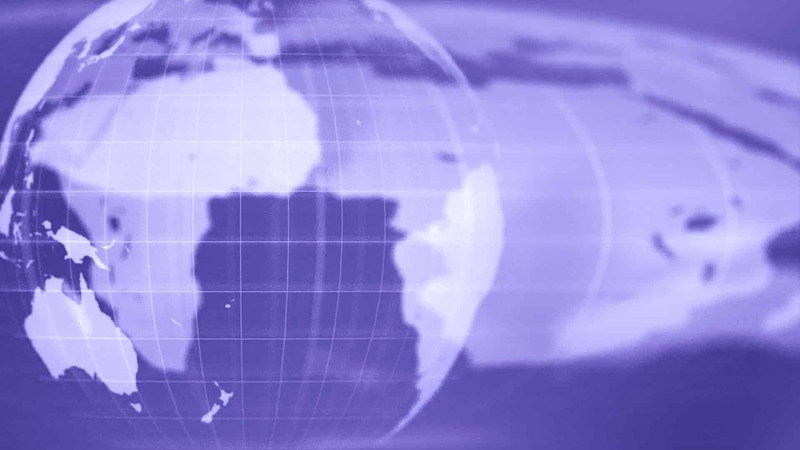 In addition to continuing to build a cohesive network of Alpha-1 stakeholders, Randel works closely with the Alpha-1 Global Steering Committee on strategies to help mobilise Alpha-1 communities around the world. 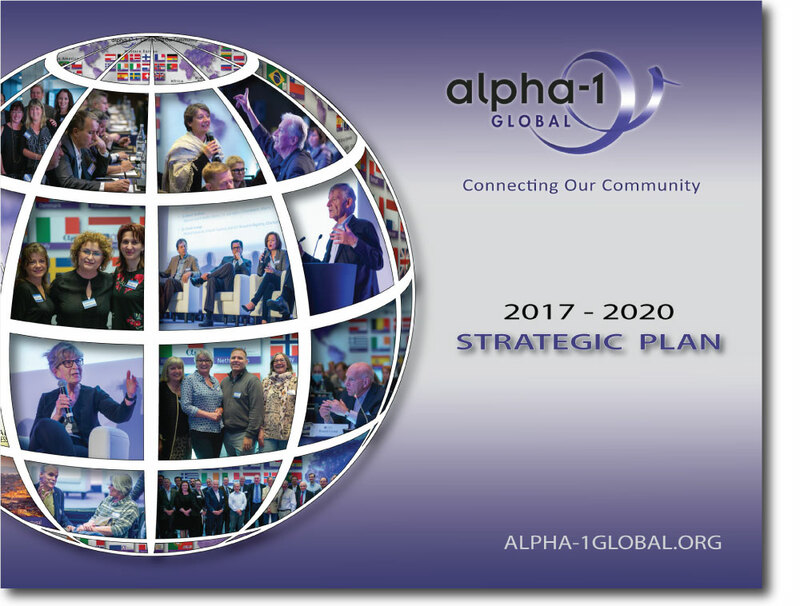 A Global Steering Committee of Alpha-1 leadership has been formed to act as a representative body, taking Alpha-1 Global in a direction that is most likely to maximise value delivered to its members. CARLOS CAMBON – ARGENTINA: Carlos Cambon was diagnosed with Alpha-1 Antitrypsin Deficiency (ZZ) in 1999. After his diagnosis and learning that his disorder was genetic, his concern for his children turned into a passion to learn more about Alpha-1 and how this disorder might affect his family and community. While attending the 2003 International Alpha-1 Patient Congress in Barcelona, Spain, he met John Walsh who inspired Carlos to establish an Alpha patient organisation to help with the overall wellness of Alphas in his native country of Argentina. 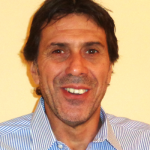 Today he is the president of the Alpha-1 Association in Argentina, and he represents Latin America by serving on the Alpha-1 Global Steering Committee. His main objectives are early detection and diagnosis, patient assistance and support, and brining awareness to the medical community. Carlos believes that all of these efforts will help to improve the quality of life in Alphas throughout Latin America. ROBERT DURLIK – POLAND: Robert resides in Warsaw, Poland, where he is an attorney at law and also works in the Polish Parliament drafting legislative bills. He is an Alpha-1 carrier (MZ) and his 3.5 year old son is an Alpha (ZZ) whose liver is heavily affected by the disorder. In 2015, Robert attended an Alpha-1 conference in Warsaw where he met Frank Willersinn and Gonny Gutierrez, who encouraged him to form the first Polish Facebook group for Alpha patients and families. 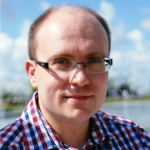 In 2016, he founded the first Alpha-1 Polish Association and has been selected to serve as the first president of the organisation. This association is focused on building a network of Alpha patients throughout the country and providing education and support. Their advocacy goal is to help bring about high quality care at affordable costs. Robert is delighted to be a part of the global family of Alphas. TIM FROST – USA: Charles W. “Tim” Frost became a part of the US Alpha-1 Community in April 2003 with his diagnosis as a ZZ. 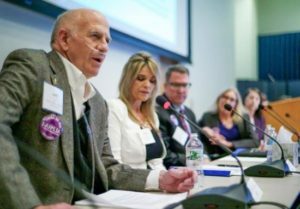 His first contact with a member of the community was with his AlphaNet coordinator whom he first met in a phone call as he drove home after his first augmentation infusion at a faraway hospital. It was during that phone call that he came to appreciate the very special and driven Alpha-1 community. Tim realised that this was a community from whom he had very much benefited and, since his retirement in 2013, has sought ways to serve. 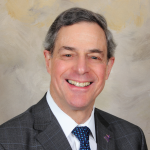 He is currently a member of Alpha-Net board of directors and has been an active advocate for the US Alpha-1 community, adding the patient’s voice on health issues before Capitol Hill and elsewhere. Tim has also been very interested in finding ways to support Alphas internationally, leveraging his experience living and working internationally, and his experience in promoting strategic planning and interagency collaboration at home. He participated in the 2015 Alpha-1 Global conference in Barga, Italy, and looks forward to being part of a critical movement dedicated to serving Alpha-1 patients around the world. STEVE KNOWLES – AUSTRALIA: Having commenced life in Birmingham, UK, at aged 3 years Steve was dragged kicking and screaming to Perth, Western Australia. He began his career in the banking & finance industry in 1983, which eventually took him to Brisbane, Queensland. 25 years after starting in banking, it was time for a change. Steve relocated to Dubai, UAE, to start up a global recruitment franchising concept and develop associated information systems, branding YOU Global. He continues with YOU Global today, having returned to Brisbane in 2010. Following the serendipitous discovery of his asymptomatic Alpha-1 carrier status in 2002, Steve took a keen interest in the condition, subsequently establishing the Alpha-1 Association of Australia in 2005. 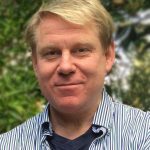 As President of the Alpha-1 Association of Australia, Steve has attended all Alpha-1 international patient congresses: Barcelona in 2003, Dublin in 2004, Rome in 2007, and Barcelona again in 2013. He also attended the 23rd Annual National Education Conference in Kansas City, USA, to participate in the official launch of Alpha-1 Global. 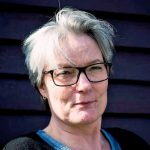 GUNHIL NØRHAVE – DENMARK: Gunhil Nørhave has been chair of Alpha-1 Danmark for the last three years. She is an Alpha herself and is committing her time to spread the knowledge and understanding of Alpha-1 among health care professionals, the Danish Lung Association, and the general public. Besides efforts in her native Denmark, including meetings with Danish Members of Parliament, she is also involved in Alpha-1 related matters in Norway and Sweden as part of a Scandinavian strategic collaboration. Her mission is for all three Scandinavian countries – and particularly the Danish Alpha-1 community – to receive access to better care, including augmentation therapy. In 2009 Gunhil traveled several times to Germany to get augmentation therapy, paid for by private means, in order to make a case evaluated by health officials in the Danish government. Unfortunately, to this day augmentation therapy is still not available. She hopes to contribute whatever she can to help collaborate on strategies for the global Alpha-1 community to gain access to fair and equal treatment in any country where Alphas live. KAREN O’HARA – UNITED KINGDOM: Karen O’Hara, who is an Alpha, was inspired by John Walsh and many others at the 3rd World Congress in Rome in 2007 to become active in the Alpha-1 world and the following year helped to organise a patient conference in Edinburgh, Scotland in conjunction with NHS Lothian. In subsequent years she worked with the Alpha-1 UK Support Group in the capacity of Ambassador until 2012 when she joined the Board of Trustees. 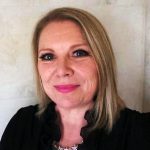 The 4th Global Congress was held in Barcelona in 2013 and Karen assisted with the organisation of the event as a member of the Steering Committee and also delivered a presentation at the congress. Currently, Karen is working with the UK Alpha-1 Alliance to campaign for access to services and treatment for Alphas in her country. In this role, she has also been working with internationally renowned experts in the field of Alpha-1 and has met with Members of Parliament and officials from the Department of Health. 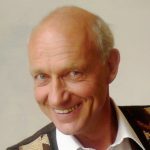 DR. FRANK WILLERSINN – BELGIUM: Frank Willersinn, M.D., President of Alpha-1 Plus Belgium, was born in Heidelberg, Germany, and lives in Brussels, Belgium, since 1972. He obtained his M.D. degree from the Université Libre de Bruxelles, Brussels, in 1979. After his military service as a doctor, he developed a strong interest for indoor pollution issues and the impact of building materials on health (concept of Building Biology; healthy and ecologically responsible building and living environment). He subsequently founded and currently manages a company focused on distribution of natural paints, wood care oils and furniture. Frank was diagnosed with Alpha-1 in 1999 and has been treated with augmentation therapy since 2008. He co-created the first Belgian patient group in 2012, participated in the Barcelona Congress in 2013, and most recently founded the Belgian patient-driven organisation Alpha-1 Plus. He is also member of the German patient group Alpha-1 Deutschland e.v.